Patient organizations have a privileged position to be active agents for promoting pharmacovigilance and patient engagement, encouraging direct patient reporting and improving the awareness of pharmacovigilance. The objective of this study was to understand the role of European patient organizations as stakeholders to optimize patient involvement in pharmacovigilance. 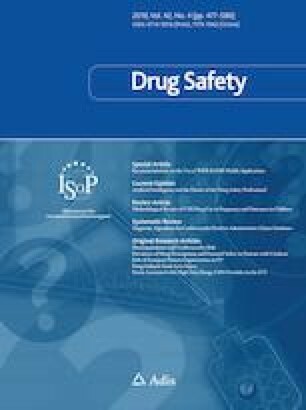 A descriptive correlational study was conducted to investigate the opinions and attitudes of patient organizations regarding general patient involvement in pharmacovigilance, and their initiatives to support drug safety through a web-based questionnaire during the months of March and April 2018. A total of 1898 patient organizations were invited to participate in the survey, including 89 pan-European organizations. In total, 337 questionnaires (17.76%) were collected from 31 countries, including 297 complete answers (88.31%). A large number of organizations stated that they would like to increase the awareness of patients regarding specific adverse drug reactions (ADRs) related to their medicines (43.19%, n = 130); however, 38.54% (n = 116) declared they do not have any pharmacovigilance goals. Barriers to supporting pharmacovigilance activities include low budget to promote pharmacovigilance among members (45.45%, n = 135), lack of resources to participate in pharmacovigilance activities (43.77%, n = 130), or lack of support from the National Competent Authorities (33.33%, n = 99). Organizations inform patients to report ADRs (40.40%; n = 120), information regarding new ADRs related to their medicines (40.07%; n = 119), or when a new drug is marketed (30.98%; n = 92); however, more than one-third indicated that they never had any involvement in pharmacovigilance (34.68%; n = 103). Bringing pharmacovigilance stakeholders and patient organizations together could create a more optimal reporting culture. Patient organizations appear to have an important role in encouraging patients to talk with their doctors/pharmacists about ADRs experienced, or to help him/her report the ADRs to the pharmacovigilance systems. Lack of resources, budget, and support from NCAs are seen as the main barriers to being involved in pharmacovigilance awareness. The online version of this article ( https://doi.org/10.1007/s40264-018-0748-x) contains supplementary material, which is available to authorized users. The authors would like to thank Kaisa Immonen and Kostas Aligiannis from the European Patient Forum, and Allan Wilsdorf from F-CRIN/EUPATI-France, for dissemination of the questionnaire among their members. Cristiano Matos, Gerda Weits and Florence van Hunsel have no conflicts of interest to declare that are directly relevant to the content of this study. European Medicines Agency. Eligible patients and consumers organisations [cited 29 Jan 2018]. http://www.ema.europa.eu/ema/index.jsp?curl=pages/partners_and_networks/q_and_a/q_and_a_detail_000082.jsp&mid=WC0b01ac0580035bf2. European Patients’ Forum. EPF Members [cited 29 Jan 2018]. http://www.eu-patient.eu/Members/The-EPF-Members/. EC. Directive 2010/84/EU of the European Parliament and of the Council of 15 December 2010 amending, as regards pharmacovigilance. Directive 2001/83/EC on the Community code relating to medicinalproducts for human use. 2010. https://eur-lex.europa.eu/LexUriServ/LexUriServ.do?uri=OJ:L:2010:348:0074:0099:EN:PDF. Accessed 19 Oct 2018.